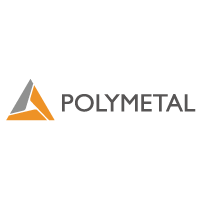 Polymetal International plc (LON:POLY) today announced sustainability performance update. Polymetal’s FTSE4Good ESG rating has improved and the company is now among the 7% of the most highly ranked listed companies in the sector. Polymetal has also become a top responder to the Carbon Disclosure Project among Russian companies. “We are proud to have our approach to transparency highlighted as best practice by leading ranking agencies. The integration of ESG principles into business processes generates value in the long term”, said Daria Goncharova, Chief Sustainability Officer of Polymetal. Polymetal was reconfirmed as a member of FTSE4Good Index in the December 2018 index review achieving an ESG score of 4.4/5.0 compared to 4.0 received in June 2018. The Company received the highest score (5/5) in Governance, which includes Anti-Corruption, Corporate Governance, Risk Management and Labour Standards. This is an improvement over the previous period, placing the company in the 94th percentile in the Industry Classification Benchmark (ICB) Supersector: Basic Recourses (83rd in 2018). Polymetal has been a constituent of the FTSE4Good Index since 2015. Polymetal has also become a top responder to the Carbon Disclosure Project (CDP) among Russian companies, achieving a C score for its climate change report. CDP is a global environmental impact non-profit that assesses companies on the comprehensiveness of their disclosure, their awareness and management of environmental risks and their demonstration of best practices associated with environmental leadership. CDP drives companies and governments to reduce their greenhouse gas emissions, safeguard water resources and protect forests. Polymetal International (LON: POLY, ADR: AUCOY) is the top-20 global gold producer and top-5 global silver producer with assets in Russia and Kazakhstan. The Company combines strong growth with a robust dividend yield. Click POLY for the full archive.